One of the common questions we get asked by our clients, is ‘What is Art Direction?’ and ‘Why do I need it?’ If you’re sat pondering the same then grab a brew and have a read through our ‘need to know’ guide to Art direction. An Art Directors task is fundamentally to design, prepare and manage your photography or videography shoot. Their work extends from the planning of the shoot, reacting to unanticipated issues on the day and managing people when inevitably their inner-diva comes out. The Art Director’s work starts long before an actual shoot takes place and will entail lots of planning to ensure that the look and feel of your brand is reflected in the images or clips produced. The Art Director will carefully consider the format and layout of images as they will naturally work their way into your digital and printed marketing collateral, such as posters, digital banners and website visuals. Why do I need Art Direction? Ultimately, the Art Director’s role is to make sure you get the most out of your shoot, making the whole process more efficient and giving it clear direction from the offset. Art Direction involves and awful lot of thought and planning, however this stage is essential in order ensure that everything goes smoothly on the day and that the team at have absolutely everything they need. What happens if I don’t hire an Art Director? If you don’t hire an Art Director, you greatly run the risk of not achieving the shots you want and need. A photographer or videographer can be an incredibly talented creative and make images that are striking and attractive, however if they don’t fit your brief or articulate your brand, or aren’t the right size or format, you aren’t getting the result you want. All the energy, time and cost of employing the photographer, models and hiring the equipment is wasted. This will result in being forced to spend more time (and money) recapturing more images that are aligned perfectly with your brand. Unlike the photographer who is almost always freelance and not involved in the campaign from the start, the campaign creative strategy is typically the brainchild of the Art Director meaning they know your brand to a tee and what needs to be achieved. Without the Art Director, photo or video shoots often end up being a disorganised affair with lacklustre results. If everyone on set is feeling a bit lost, confused or feels uncomfortable, this will be visibly written all over the model’s faces and impact on the quality of the final shots. Also, without the necessary planning the photographer may discover on the day of an actual shoot, that the required image needs a more suitable prop or different lighting. At this point, it’s a little too late to solve these issues. Such instances are easily avoided by means of the planning that forms an essential part of the AD’s role, it can save a lot of time as lighting, prop references and composition are already decided. Despite being experts at high-quality images or clips photographers or videographers aren’t generally experienced at orchestrating the actual shoots, managing the different people involved and dealing with any challenges. The Art Director however has the expertise to bring clear direction to the shoot, making sure everyone knows what they need to be doing and feels relaxed. Rest assured that our AD’s have seen it all, enabling them to calmly and confidently support the photographer, videographer and the rest of the production team when things go topsy turvy and come up with a quick solution. The Art Director is responsible for warming people up, making sure they appear engaged on camera. Imagine trying to loosen up a group of forty suited corporate blokes, not easy work! In a number of Ultimate’s campaigns, more ‘junior’ models have been involved in shoots. 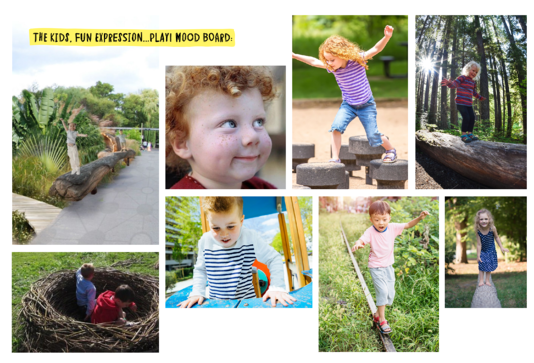 Our Art Directors have experience engaging models of all ages, however making sure kids remain energised and excited can be quite hard work, as they lose interest quickly and are easily distracted. 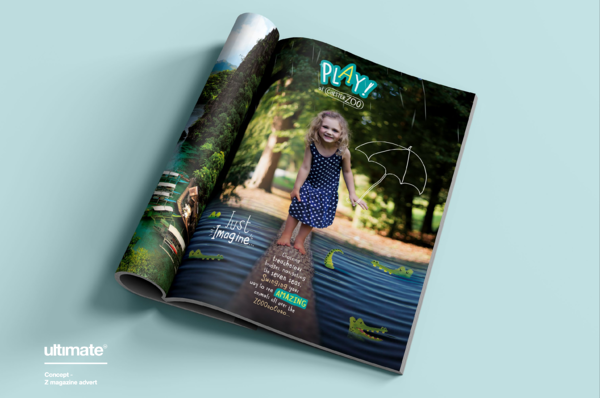 Our Art Directors have kept young models engaged during shoots by using games and distraction tactics (by providing regular supplies of sweets). However, to our Art Director’s frustration, sometimes the perfect shot of a gleeful smile needed for a TV advert is only finally captured.... when the child in question hears the highly anticipated words “you can go home now!”. Despite the significant amount of planning involved, the Art Director knows that things don’t always go to plan. In the past, our AD has arrived on set and discovered that a building is still under construction, with a digger sitting on the front lawn. In these instances, the AD has to adapt and quickly think of a plan B, which usually means thinking of creative solutions and taking alternative shots. Most importantly, the Art Director will provide support to the photographer in these challenging situations so that the shoot still achieves the right result. The research stage of Art Direction is critically important. It begins with the creation of inspirational mood boards that can include references to anything from art, movie scenes, fashion to technology, depending on the details of the creative brief. Sometimes these references can come from quite unexpected sources but are just the perfect way to express what we are trying to achieve in your shoot. 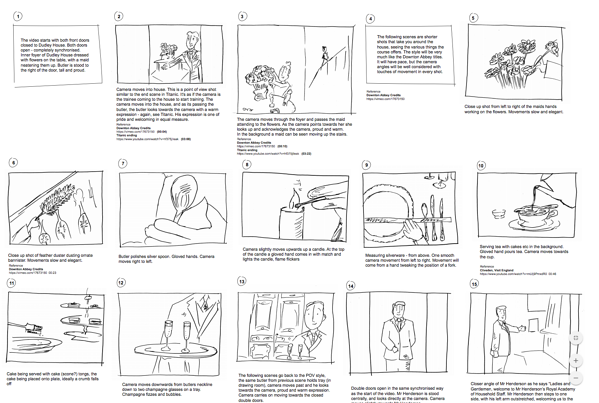 Following on from the research stage, the Art Director will create either a storyboard or a shot list, which will include layouts, sketches, a schedule and a list of props for you to sign-off ahead of the shoot. The initial sketches will sometimes later transform into mock-ups with example video clips and stock imagery found online. Not only does the Art Director create the vision of the shoot, they also select the talent such as models, stylists and make-up artists. On the actual day of the shoot, the Art Director must ensure that every shot meets your creative vision, if it doesn't they are on hand to make immediate changes. When considering your final photos or video clips, the Art Director will always take into account what they are being used for to ensure they are the right size and format. For example, if the images are planned to be used for slim digital banners, the Art Director will ensure the photographer captures an image wide enough to be used for this purpose. The Art Director will also be on watch to guarantee that the photographer or videographer positions the action part of the shot in the correct place, as the images may later incorporate animations or be layered with text or buttons. 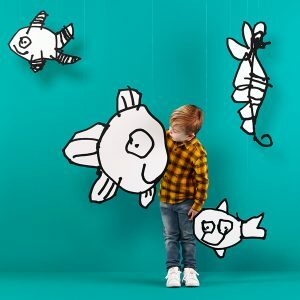 In certain instances, the Art Director will manage both a videographer and photographer on the same day and be on hand to manage temper tantrums and deal with any unexpected disasters, not always an easy task! If video footage is being shot, the Art Director will also look into the development of music and narration, so the visual and audio work together fluidly. Hopefully we’ve answered any queries you may have relating to Art Direction and how this service can enhance any creative campaign, branding or new website design by making sure your vision is achieved and by saving both time and effort. Here at Ultimate, our clients are able to opt for Art Direction as a service with some additional cost.